The aircon was not functioning well. The place was old and gloomy. Where to find Bacolod hotels near an airport? 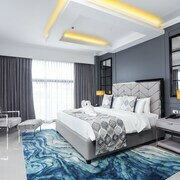 Where can I find hotels in Bacolod that are near tourist attractions? 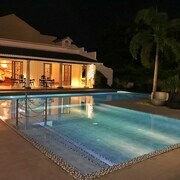 Looking for a great place to lay your head in Bacolod? Our Expedia hotel database offers 19 places to stay within 0.1 kilometres (0.06 miles) of Bacolod's town center. 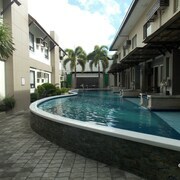 Securing a room close to the inner-city sights and action of Bacolod is only a few mouse clicks away. Expedia's comprehensive database lists the The Suites at Calle Nueva and Circle Inn - Hotel & Suites, which are situated within 1 kilometre (0.6 miles) of Bacolod's center. 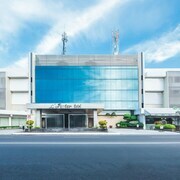 One of the few budget-oriented hotel choices in Bacolod is the Luxur Place. 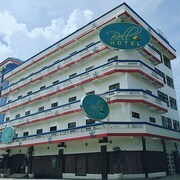 The L'Fisher Hotel is located 0.3 kilometres (0.2 miles) from the center of Bacolod. Alternatively, the Buenas J Inn is positioned 4 kilometres (2 miles) away. Two more places to stay worth checking out around Bacolod include the Dormitels Bacolod - Hostel and the Java Pension House Bacolod. Why don't you take the time to investigate the many other attractions dotted around Visayan Islands while you are in the region? Visayan Islands offers beaches, and commonly visited Visayan Islands attractions include traditional villages, old towns and craft workshops. Visitors and locals alike in this section of Philippines often enjoy shore fishing. Before you head home from Visayan Islands, make sure you catch local game. Visit Panaad Stadium to the south of Bacolod. 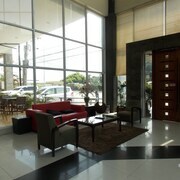 Book a hotel near the action at the GT Hotel Bacolod or the MO2 Westown Hotel Bacolod - Downtown. Now that you've learnt a little about the available hotel options in Bacolod, be sure to visit Expedia's Bacolod travel guide for information on cultural and scenic attractions in this area. What are the most popular Bacolod hotels? 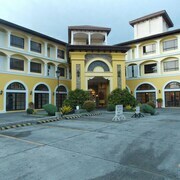 Are there hotels in other cities near Bacolod? What other types of accommodations are available in Bacolod? Explore Bacolod with Expedia.ca’s Travel Guides to find the best flights, cars, holiday packages and more!